“Perception is reality.”Public relations is the fine art of managing perception, and therefore, reality. Public relations is one of the most powerful marketing tools at work in the world today. It’s an integral part of an effective marketing strategy, but one of the most frequently overlooked and misunderstood marketing tools. Public relations is all about relationships. It’s about establishing and managing all the relationships between your company and its publics. So, who are your publics? Your publics are all the groups of people you must interact with to operate your business. In a typical business, your publics would consist of your customers, prospects, suppliers, employees, shareholders, potential shareholders, distributors, competitors, government, community, and so on. Your relationship, perceptions, objectives, and means of communication will be different for each public. And the need to communicate with various publics will vary from business to business, as well. The larger your business, the more publics you must interact with, and the more complex and difficult it becomes to communicate with each group. It’s easy to lose touch. Things happen. People talk. Perceptions can change, for better, or for worse. As your marketing partner, our job is to help you manage your public perceptions on an ongoing basis. During our strategic planning process, we help you identify your publics, or markets, and define objectives and strategies for each group. 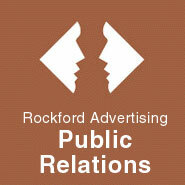 We proactively promote the perceptions you desire through a variety of public relations tools. And, we help you react quickly, and capitalize on change, when changes occur or opportunities arise.